Unique and exclusives creations made from an idea in order to become a concrete and customized project, composed by high quality elements. Inox Shape is an excellence Italian signature in the kitchen field concerning the Custom Kitchen Professional, meaning synonyms of quality, design, functionality and ergonomics. We boasts production collaborations with successful foreign designers worldwide known, this for sure confirms the attention and the professionality with which INOX Shape works and provides to their customers. From briefing to technical project structure layout and till the creation of unique products we represent the soul of an abstract concept: the idea. An idea reflecting different point of views, in order to provide customers with a satisfying experience that can fit any need and that can help us in discovering some hidden ones thanks to our awareness in this business. A complete and conscious project in any possible dynamic are the regular basis for a production process which can provide major and concrete results.Customer needs are a guidance for our technological research: an entire team, composed by 10 high qualified persons, is continuously working and implementing new solutions, from engineering to late generation software. 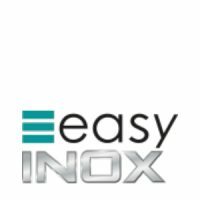 Easy INOX products range is dedicated to small, medium and big restauration sector, it can be realized with several different stainless steels that reflect the highest standards in terms of confidence and quality for “Made in Italy”, form production till customer care support. Complete solutions can be implemented, characterized by high functionality and designed in an ergonomic way in every little detail, in order to grant a direct immersion in the space and its components.This creations are made from a careful study which has a single important element as focus: the human being. Regular Solutions Pro represents the perfect choice for those who look for smart and durable solutions, that can give a culinary “dreamscape” reflecting people who live in it.